Raised beds contain small plants that will yield organic vegetables. 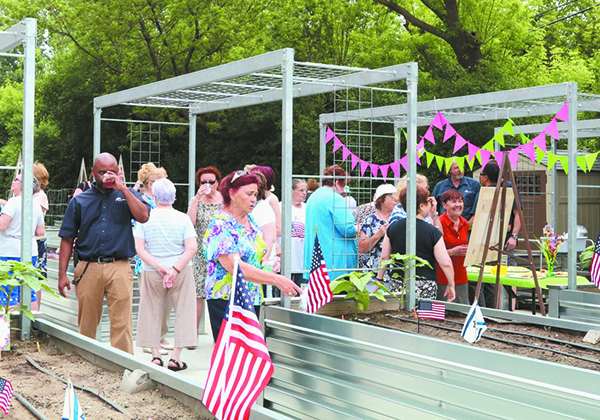 Jewish Senior Life celebrated the grand opening of its new JSL Community Garden on the Jewish Community Campus in Oak Park. 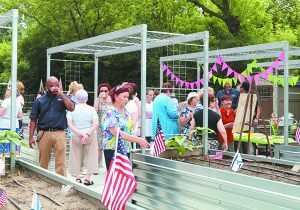 The garden brings together residents of the Teitel and Prentis apartments, along with volunteer community Master Gardeners and others to enrich the lives of JSL residents. The garden will allow residents to use their “green thumbs” to grow and care for outdoor plants and flowers. The organic vegetable harvest will provide healthy produce for residents to enjoy all summer, with additional produce donated to local feeding agencies. 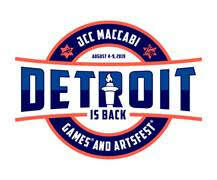 Volunteer Master Gardeners are Julie and Shaul Englender, Joyce Harding, Jerry Rubin and Carol Scheuer. 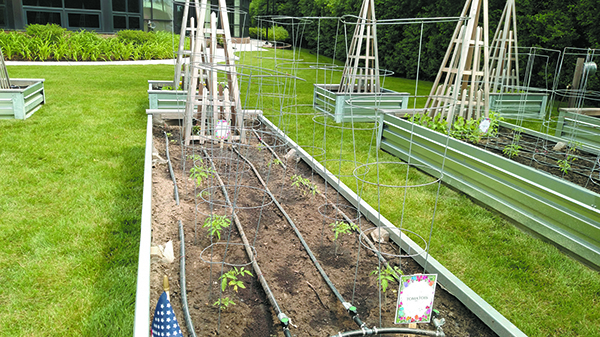 Michigan State University’s Tollgate Farm supported the program with garden planning and seedlings. Guests stroll through the new garden. The garden is divided into two sections of multiple garden beds, united by an arbor that can be used as a sukkah. Oak Park Mayor Marian McClellan, on hand for the ribbon cutting, offered to donate sunflower stalks to use as a covering for the future sukkah. The stalks will come from sunflowers planted all around Oak Park. Donations are needed to purchase additional security and decorative lighting as well as hand tools and other gardening paraphernalia. 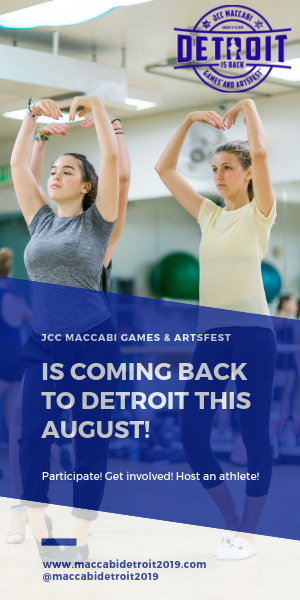 To support this project, contact Colleen Janis at (248) 967-2224 or cjanis@jslmi.org.